Cafe at Pharr will soon open its sixth metro location, this one at Dunwoody Village. The small sandwich chain no longer has a location on Pharr Road, but has expanded quite a bit over the past few years. The Pharr Road location was relocated to Peachtree Road, while at the same time, the restaurant added locations to the westside, Vinings, and a combo restaurant in Baci Cafe/Cafe at Pharr in TOWN Brookhaven. Cafe at Pharr's Miami Circle location remains open as well. The chain closed their Roswell Road location in North Buckhead, which last year reopened as Buttermilk Kitchen. The original location on Pharr Road reopened late last year as Joy Cafe, an independent lunch, brunch and dinner eatery. 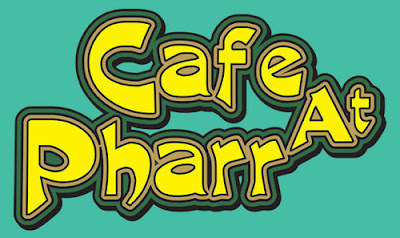 Cafe at Pharr is most likely best known for their popular chicken salad, although the restaurant offers a number of other sandwich and salad options as well. Cafe at Pharr joins newcomer Marlow's Tavern and upcoming eatery Mojo Burrito in the shopping center anchored by The Fresh Market. The restaurant's 1,400 s/f space is located adjacent to Taggart's Driving School, around the corner from Walgreen's. A Cafe at Pharr employee tells me they hope to have the Dunwoody location open by mid-late April. Have you been to Cafe at Pharr? What is your favorite item? Who makes the best sandwich in Dunwoody? Please weigh in below and share your thoughts.